A lot can go wrong with a garden hose. One of the most popular problems encountered by most gardeners is a leaking garden hose. We are well aware that a quality hose is an inexpensive necessity needed to water and maintain a healthy garden but that doesn’t mean we should buy a new one once it develops a leak. How to Repair a Garden Hose? This guide will walk you through how to repair a garden hose so you can quickly get back to business. at either end, close to the head sprinkler or faucet region. The middle portion or pressure areas of the hose. To determine areas that need repair, you will have to go on a hole hunt. If water squirts at your face immediately the taps are on, then the leakage is probably close to the sprinkler region or form the faucet. 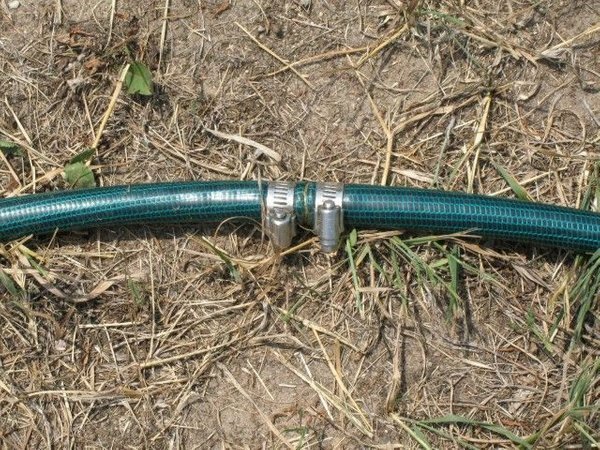 If you are combining two hoses, check if the leakage is at the jointed area. Your garden hose repair battle is half won if you can pinpoint exact regions of leakage. 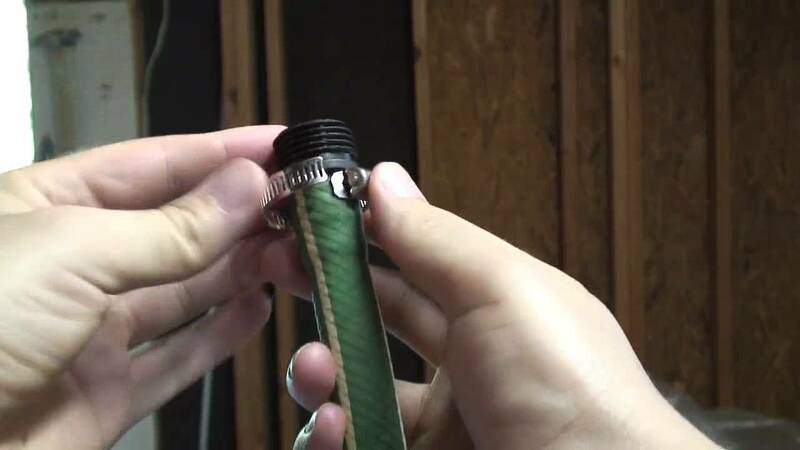 Hose repair kits usually come with threaded male or female hoseheads as well as a connector for fixing a leak that occurs at the middle. A two-piece clamp or hose clamp is used to secure the hose to the end. Leakages that occur at the ends are the easiest to amend. All you need do is carry the head to the replacement store to ensure you purchase the right diameter thread. 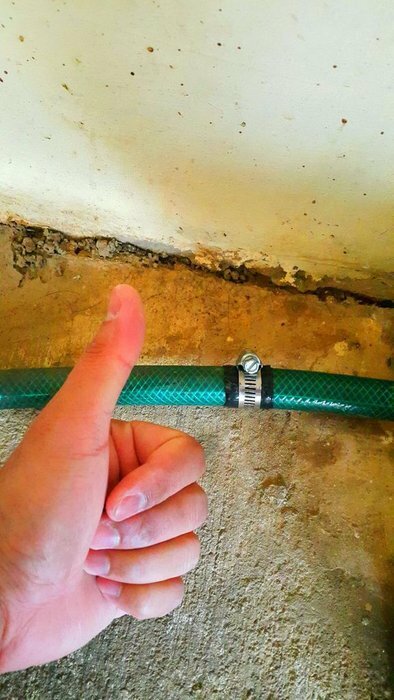 Follow these laid down steps to repair a damaged hose at the ends or leakages that occur at the ends. Step 1: Using a shape blade or utility knife cut off the end in which the leakage occurs. Press the hose to the ground rather than on your hand to apply the needed pressure. Step 2: Rub the replacement end with petroleum jelly and ensure it goes all the way into the freshly cut hose end. Make sure it is fitted tightly to the hose head. Step 3: Using a screwdriver attach the clamp securely around the end of the garden hose. This should hold the sprinkler, hosehead, and pipe firmly. Ensure that the screws are securely fitted in place to avoid further leakages from the end. Step 4: The newly repaired garden hose is ready for use. Test with high-pressure water to see if you carried out the repairs properly. Tiny punctures do occur from time to time. It’s common that a sharp object or nail creates a little puncture at the wall of your hose just wide enough to spring a leak. If you are like me that loves to keep pets, sometimes the teeth of your canine friends are sharp enough to do some damage. Just as the saying goes, “a stitch in time saves nine, amend tiny punctures before they get out of hand. 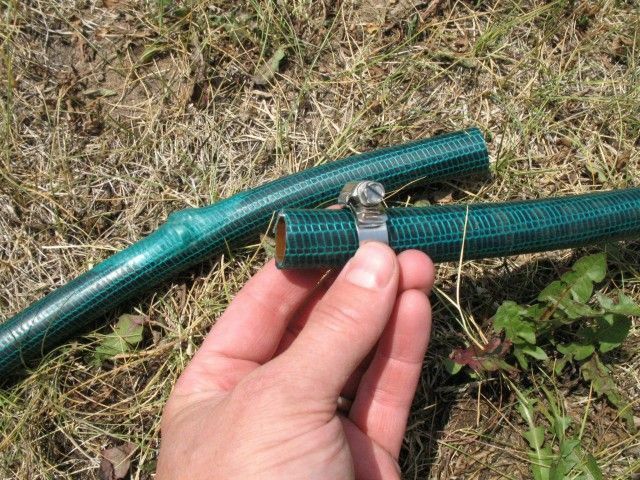 Follow these steps to fix a tiny puncture at the middle of the hose. Step 1: Cut the rubber tape and apply it around the punctured spot. Ideally, make the rubber tape rap round the leakage twice for best results. Keep the surface of the tape free from dirt before sealing it firmly. Step 2: Use the screwdriver to fasten the hose clamps securely to the self-adhering rubber tape. Severe tears within your garden hose can be very difficult to amend. Most times severe tears occur with old or worn out garden hoses that might have outlived their shelf life. The first thing you need to do is check how severe the damage is. Is the tear in one area or several areas? If the tear is in one area, does it look like cutting off that part can solve the problem? You should think about getting a new hose of the damage or tear is in several areas of the hose. Follow these steps to repair a hose that has tears in one area or several areas close to each other. Step 1: Locate the tear and cut a couple of inches away from the bad area on both sides. This will make sure you only have good areas to work on. Step 2: Next, put a hose clamp on one part of the cut hose before inserting the male portion of replacement end to the hose. Once it is securely fitted in, tighten it up with the hose clamp. Step 3: The new end of the replacement hose should stay securely in place without falling off. If it falls off or not tight enough, then you have the wrong replacement end or your hose pipe is bad. Insert the other end of the hose to the female part of the replacement end before securing it with a second clamp. Step 4: All done. Test with a high pressured water source to see if the leakage and tear have been taken care of. 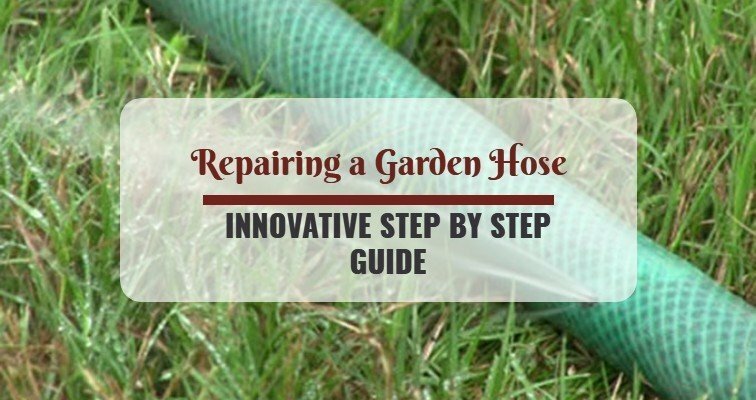 Repairing a badly torn hose this way should at least breathe some life into your garden hose. This repair guide is not exhaustive but we are sure the three areas touched should cover for most garden hose leakage problems. Remember a stitch in time saves nine. Carry out repairs immediately you notice leakage to increase the lifespan of your garden hose.